1.8 billion people around the world don’t have access to safe water and 2.4 billion lack access to adequate sanitation. Women and children spend more than 4 hours walking for water each day, and more than 840,000 people die each year from water-related diseases. Water For People is an international non-profit working across 9 countries to bring safe water and sanitation to 4 million people. Water for People want to see communities break free from the cycle of poverty and spend time growing, learning, and thriving, instead of walking for water and fighting off illness. Water for People have been installing pit latrines in various different areas in Uganda. These are filling up at very different rates, but the reason for this is unknown. They need to record the usage of the latrines with a simple, low-cost, robust and non-intrusive system. 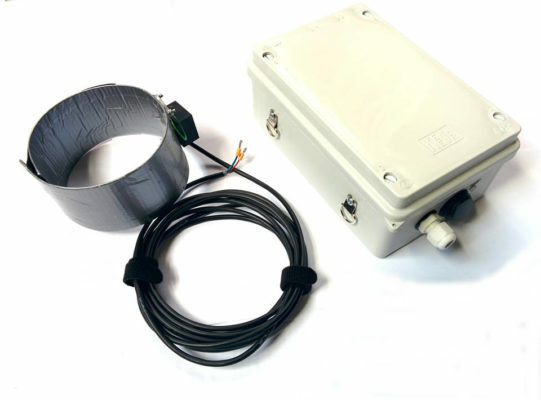 The Latrine Logger – a data logging unit for monitoring pit latrines – was developed for Water For People to help analyse this problem. The Latrine Logger uses a non-invasive sensor to measure liquid flow down non-conductive pipes, such as the PVC pipes generally used for pit latrines. This sensor is wrapped around the PVC pipe. The signal is monitored and triggers the unit to record a ‘flush event’. 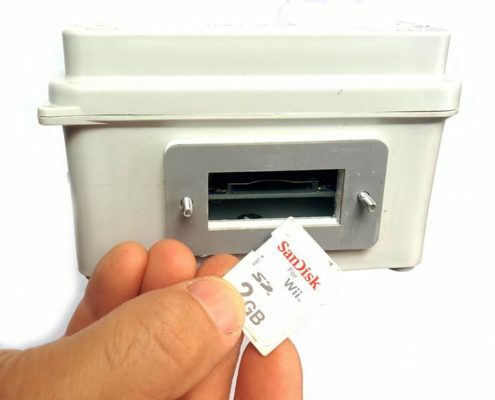 The unit records each flush event with a time and data into a file on an on-board SD card. This data is human readable and can be opened in any spreadsheet program. The unit is fully waterproof and battery powered by 3 x ‘D’ size cells, which lasts for between 1-2 months. 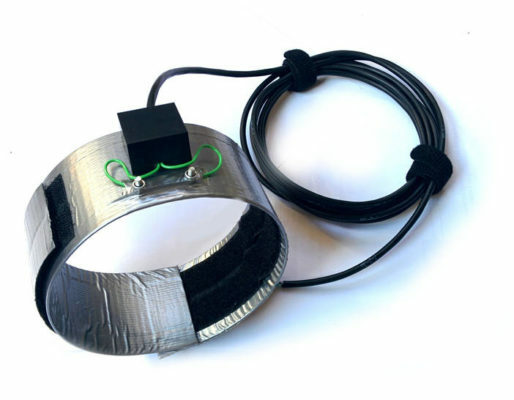 The prototype was developed along with Nicola Greene (in conjunction with Water for People) and James Fowkes to look at the issue of data monitoring for pit latrines. The prototype units were used in Uganda and feedback from their operation was fed back to improving the unit. We supplied 5 units which are now being used in sites in India for pit-latrine monitoring. Please contact us if you would like Re-Innovation to help with your project or provide a training course.